Jumping games - Have your child jump rope, do jumping jacks, or jump on a trampoline while you hold up picture or word cards. Hold up a new card with each jump. Make a game of it by challenging your child to see how quickly he or she can identify what's on the card while up in the air. If your child masters this activity easily, try cards with simple addition and subtraction problems. See if your child can solve the math problems while jumping! Origami - Strengthening hands through activities like cutting and stringing beads can be repetitive, so consider origami as an alternative that most kids find enjoyable. Intricately folding paper can improve hand and wrist strength with the added bonus of a cute animal or other fun figure to be proud of once the activity is complete. There are origami kits for all ages and ability levels, and this activity can be fun for you and your child to do together. Flashlight Tag - Turn down the lights and play flashlight tag with your child! Shine a flashlight at the wall in a random pattern. Move up and down, side to side, and in loops. Have your child follow your movements with his or her flashlight. This activity encourages eye tracking skills in addition to visual motor practice. New ways to play catch - Kids who struggle with hand-eye coordination may be reluctant to play catch with a heavy, small baseball. 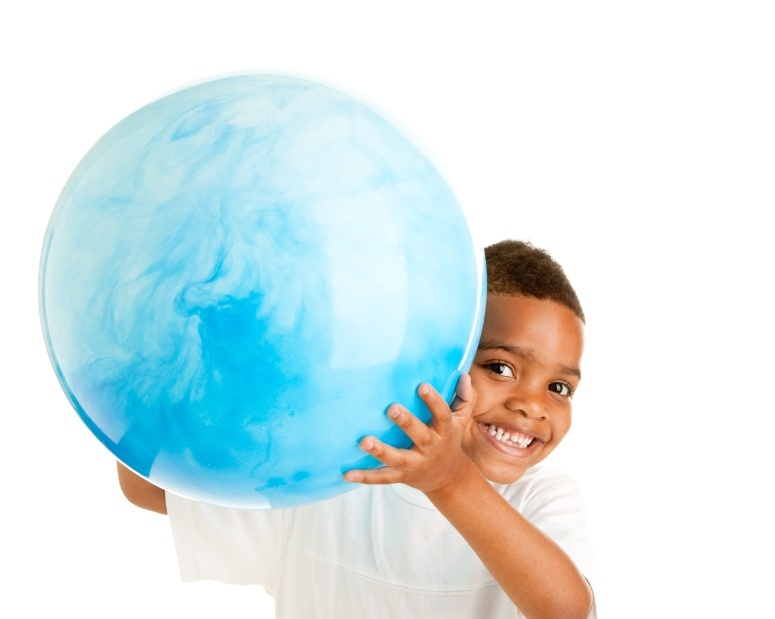 Instead, offer to play catch with your child using a variety of balls that are differing sizes and weights. Try beach balls, kick balls, bouncy balls, wiffle balls, and more! You can even toss a bean bag or stuffed animal back and forth. Not only will your child's hand eye coordination improve, but so will his or her ability to discern how much pressure and effort is needed to toss and catch different objects. Swing toss - Ad an extra element to your child's backyard swinging with a fun game of swing toss. While your child is swinging, stand a safe distance in front of him or her, and hold a hula hoop. Have your child toss a bean bag or ball through the hoop while swinging. This activity encourages balance, sensory integration, core strength, and problem solving in addition to improving visual motor skills.